The Faygo Book is the story of a pop, a people, and a place. Its stories will tickle the taste buds and memories of Detroiters and Faygo lovers everywhere. This is the narrative of how a family forged a bond of more than 100 years with a city and its residents and became the last company standing in Detroit’s “pop alley.” Learn how Faygo pop came to be, how it grew to become a giant independent bottler and its tough choice between growing and staying. There will be photos from The Faygo Book, a pop quiz and maybe a singalong. There WILL be a pop quiz! 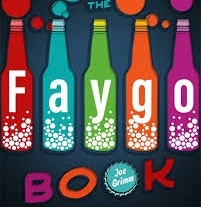 Author Joe Grimm wrote “The Faygo Book” after building up a tremendous thirst on the Wayne State University Press book “Coney Detroit,” written with Katherine Yung. Grimm, a lifelong Detroit area resident, is a Michigan State University journalism professor and worked 25 years at the Detroit Free Press. Grimm’s favorite Faygo flavor is Rock & Rye.